Today is the final day for NBA players to sign extensions with their current teams. The signing of these deals will lengthen the players' contract, and will help them to avoid becoming free agents next summer. This deadline has the Boston Celtics worrying about only one player, as most of their roster is filled with new additions or players will longer-term deals, but that one player is a doozy: Marcus Smart. We've all been speculating about whether or not Marcus would sign a new deal to stay with the Cs before the season began, and we've finally gotten out answer: Marcus Smart will not sign an extension before today's deadline. He will become a restricted free agent next summer, as Danny Ainge hasn't yet offered him a deal to stay with the team. 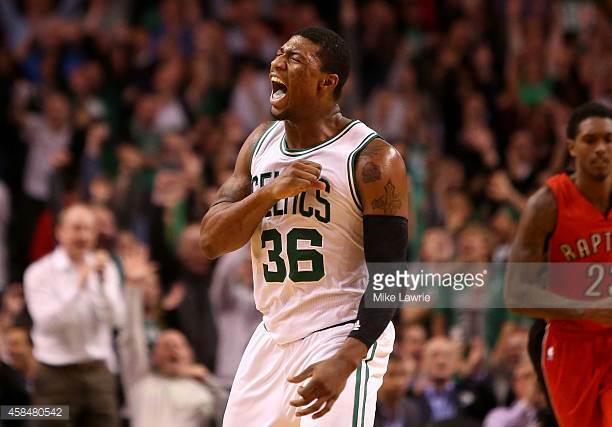 Marcus Smart will not sign an extension prior to the deadline, according to a source with knowledge of the negotiations. More on this later. This is probably a bummer for most of us Cs' fans, as Marcus is as green-blooded as any of us, but it's not time to fret quite yet. Having not signed Smart doesn't mean that we'll never get the chance to re-sign him again. It doesn't mean that he's leaving town, and it doesn't necessarily mean that we're going to have to break the bank next offseason to keep him around. All that it leaves us with is more uncertainty. We're just going to have to wait until July when free agency begins to see how Marcus is valued throughout the league. The Cs have the upper-hand in signing him, because they can infringe on the NBA's soft cap to do so, which other teams won't have the privilege of doing, but by allowing him to hit the market next off-season, the team has also opened the door for opponents to offer larger, more lucrative deals that the Celtics may not be able to match. If the difference between staying with the Celtics and not is between a few, petty million dollars, then I think we have a chance. Marcus has said that he wants to remain in Boston, and contending for a title may be more valuable to him than receiving a slight promotion. If he does get that mega-deal next offseason, however, then I think he's long gone. These players have got to take the money while they can, because everything can change for them in just one season, or game, or even possession. Last season, Marcus averaged 10.6 points, 4.6 assists, and 3.9 rebounds per game. I'm crossing my fingers that everything will work in the Celtics' favor, because Marcus Smart is a player that won't be easy to replace. I mean, he's 23 years old, one of the best defenders in the league, and can basically play any position on the floor. I've said it once and I'll say it again: If I could have an entire team of Marcus Smarts, I would. Danny, pay the man!